As reported in Deutsche Welle and Spiegel, a restoration effort headed by Russian-born historian Pavel Polian has brought the handwritten text of a document buried by Auschwitz-Birkenau prisoner Marcel Nadjari back to life. The letter, enclosed in a thermos and wrapped in a leather binding, was buried by Nadjari in November 1944 just outside the extermination camp, where it lay buried for 36 years. It was accidentally unearthed by a student in 1980, but most of the text was unlegible. Using a technique called multispectral analysis, Polian, with the help of Russian IT expert Aleksandr Nikitjaev, managed to decipher upwards of 90 percent of the document. The details of this work are set to be published by the Munich-based Institute of Contemporary History (IfZ) in November. Nadjari, a Jew from Thessaloniki, Greece, had the misfortune of working as a member of the Auschwitz-Birkenau Sonderkommando. These forced laborers had to perform the unthinkable, removing the bodies from the gas chambers, extracting teeth, shaving off their hair (which was processed into yarn), delivering the bodies to the crematorium, and disposing the ashes into rivers. Members of the Sonderkommando were frequently killed and replaced with new arrivals; out of the estimated 2,200 Jews assigned for this task, only a few hundred managed to survive the war. Nadjari’s secret note represents one of nine similar records written by five Sonderkommando members, though his is the only one written in Greek (the others being in Yiddish). Only 10 to 15 percent of the surviving document was originally legible. Nikitjaev was able to read the badly smudged text by taking multi-spectral recordings of the document at various optical wavelengths. This non-invasive technique allows researchers to map and identify the pigments (in this case ink) on badly worn documents and visualize the reflections that characterize a letter. Working for an entire year, Nikitjaev progressed through the document, turning the blurred script into outlines of letters that could be made visible again. Nadjari had written the letter in the hopes that whoever found it would deliver the document to a diplomatic representative of Greece, who would subsequently hand it over to either friends or family back home. Reading the recovered text, it’s clear that Nikitjaev was distraught by the nature of his work, and even contemplated suicide. But it was his thoughts of vengeance that kept him going. “When you read what work I did, you will say, how could I...or anyone else do this work and burn his fellow believers...many times I thought of coming in with them [into the gas chambers] to finish, but I have always kept my revenge: I wanted to live to avenge the death of Papa and Mama, and that of my beloved little sister, Nelli,” wrote Nadjari in the restored document. His accounts of life as a member of the Sonderkommando are particularly harrowing. He also participated in the spreading of the ashes, which the Nazis did to cover their tracks. Nadjari figured that his days were numbered and that he’d eventually be killed in the gas chambers. “We have to leave the earth because we know so much,” he wrote. 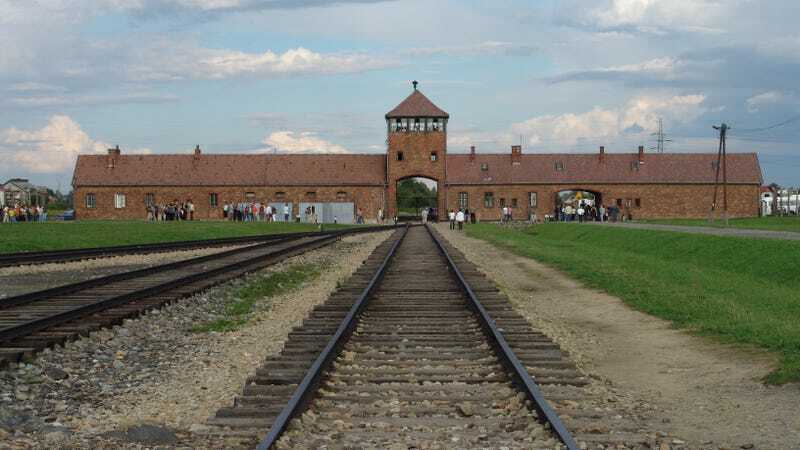 Nadjari managed to survive his experience at Auschwitz-Birkenau, where around 1.1 million people, the vast majority of them Jews, were killed during the Second World War. He returned to Greece after the war, and eventually moved to the United States. Nadjari died at the age of 54 in New York, before his document was rediscovered.